International Champion Cup yesterday group match result would make Louis van Gaal a happy person, Manchester United won 3 (THREE) goals to 1 (ONE) against European big teams Real Madrid. Although van Gaal reported complaining about United States pre-season tour, I guess the manager is happy enough to make his assessment of Manchester United players in a match against big teams of Europe. Man United could be in the seventh in English Premier League last season, but against the number two and three team of Italy (A.S. ROMA and Inter Milan), and the number one team in Europe (REAL MADRID), United squad under Louis van Gaal new system create hopes to the fans that this team will be qualified in European League again next season and also will again dominating the domestic competition. 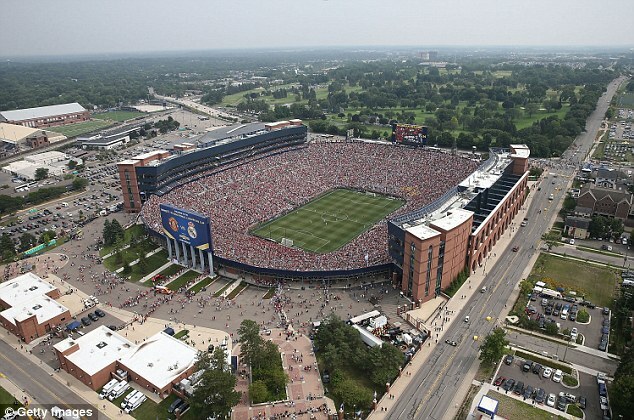 The match of International Champion Cup between Manchester United and Real Madrid is the most expected game in USA. Before I published the fixture of International Champion Cup as Man United pre-season game the ticket is already sold out. Louis van Gaal is overwhelm by the spectacular view of the stadium. 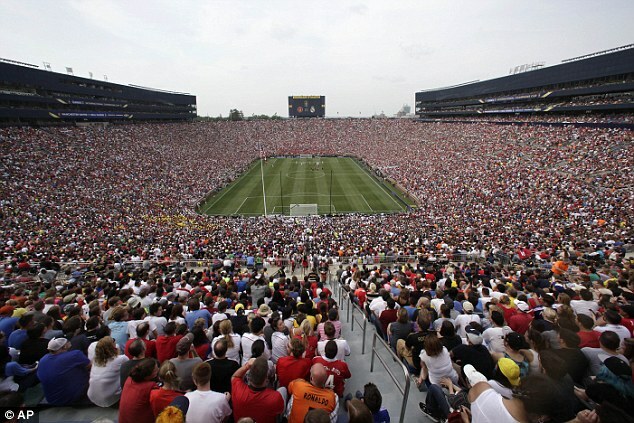 109,318 fans, and mostly manchester united fans, are there to see the match that was held in Michigan Stadium. The new system and formation of Louis van Gaal give huge impacts on several players in this pre-season. Ashley Young who predicted to be kick out motivate to improve himself and learning new position as wing back. Wilfried Zaha who is not David Moyes cup of tea begin to rebuild his career at Man United, he is willing to play as striker as van Gaal asked him to. Preparing to the Real Madrid game Louis van Gaal put pressure on his lads. He wants the team win the game although the match is not a European competition. The lads in man united had proves Louis van Gaal that the qualities of the team still European and the last season was just unfortunate event. I am hoping Ander Herrera wish to get International Champion Cup trophy for his first in Manchester United shirt become true. The team perform well and the players starting to find their true identity on the field. This situation make my expectation of Man United will once again grab English Premier League trophy from Man City next season.